The marketing, selling and installation of quality, durable, maintenance-free security products which include retractable security doors, roller shutters, swing gates, roll-down shades, cottage pane bars and fixtures, to the public and to commercial communities. Since 1995, with only one product. 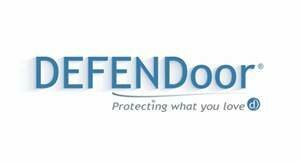 Trading as Defendoor since 2005 with 12 strong product range. Franchising since 2017. Confident, self-disciplined, performance-motivated individual with pronounced inter-personal skills and 10 years business experience. 4 weeks pre and post opening. Ongoing training. Upfront fee R75 000; Approximate establishment cost R220 000; Recommended working capital R50,000; Total investment R345,000; Franchisee’s minimum own cash (before loan) 50%; Management fee 0%; Advertising/Marketing fee contribution R2,000pm; Total fees R2,000pm.